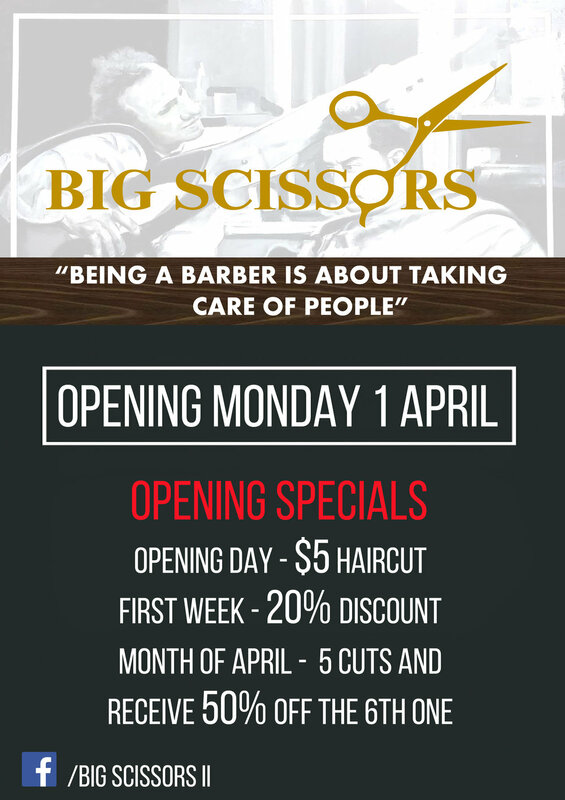 Big Scissors IS NOW OPEN! The team of experienced and enthusiastic stylists are now providing a range of services from beard trimming to hair cuts, styling and more. Make sure you get in on time for their hot opening specials! ðŸ”¥ 5 cuts and the sixth one 50% discount available for the whole month of April.